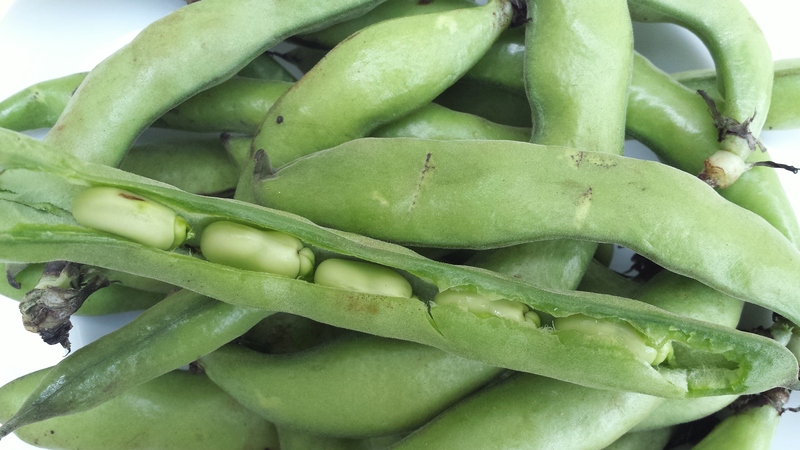 I still wonder what the fuss is about, but now join those who recognize fresh favas as a true sign of spring. 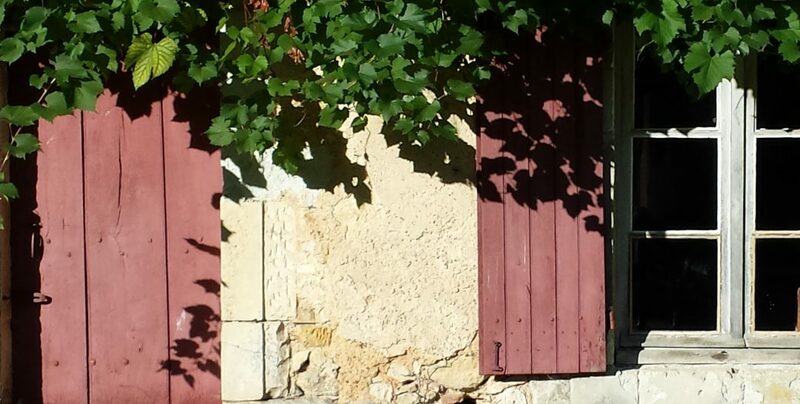 It’s as much a harbinger as asparagus and spring onions, although more difficult to find. I am fortunate because I live in the New York City metro area, and we have Fairway. We also have supermarkets that cater to ethnic shoppers where, for a brief couple of weeks, you can find bags of frozen fava beans. I fill up the freezer when I find them for use throughout the year. They’re just as good as the fresh ones and, since they’re shelled, have the advantage of eliminating a step from preparations. Since NoNoJulia is all about France, I wondered whether fresh favas were also included in French cuisine. I looked through a few of my cookbooks and the Cuisine Actuelle website and turned up a few recipes that appealed to me, including braised rabbit with mustard and favas. 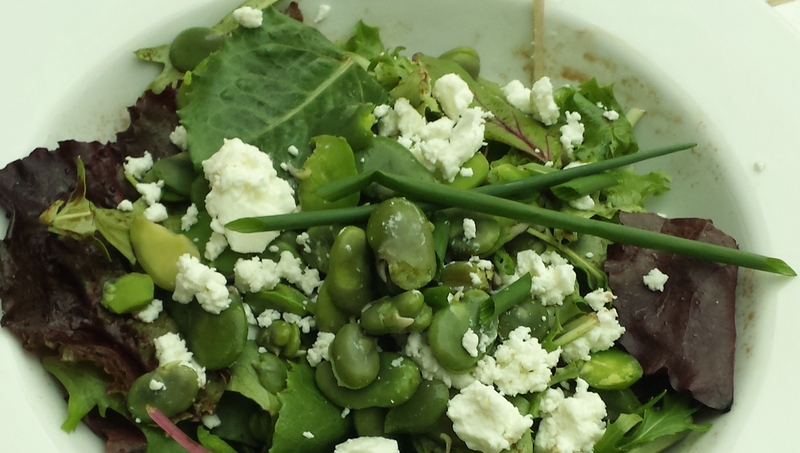 But today I decided to make one of the fava bean salads on the website. I selected one that sang of spring, made with baby greens mixed with mint, fava beans and goat cheese. It’s not something to throw together for Thursday night dinner, not because it’s complicated but because getting the fava beans ready is a bit tedious–peeling chestnuts is a close analogy. It’s worth doing once or twice to say you did it. Take pictures and send them to your friends. 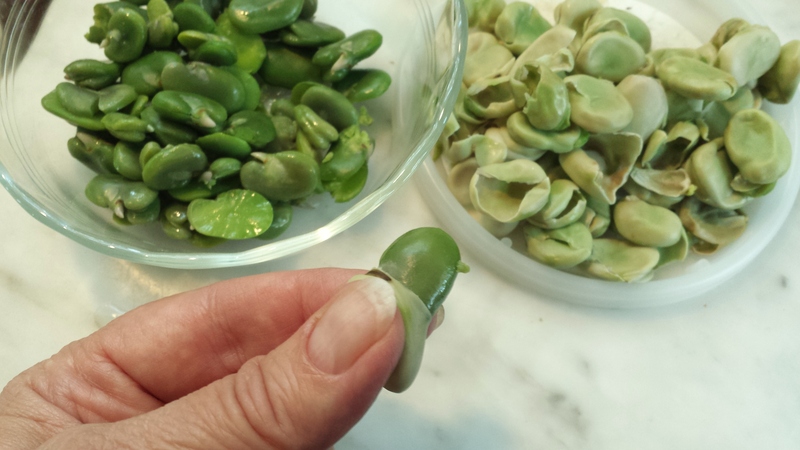 To prepare fava beans, first remove the beans from the pods. Blanch the beans. After they have cooled slightly, make a slit in the round end of the skin and press the tender green bean between your thumb and fingers until it is released. Set the peeled beans aside until you’re ready to assemble the salad. Prepare a vinaigrette. I chose a simple lemon/extra virgin olive oil dressing that would allow the delicate flavors of the vegetables to shine. 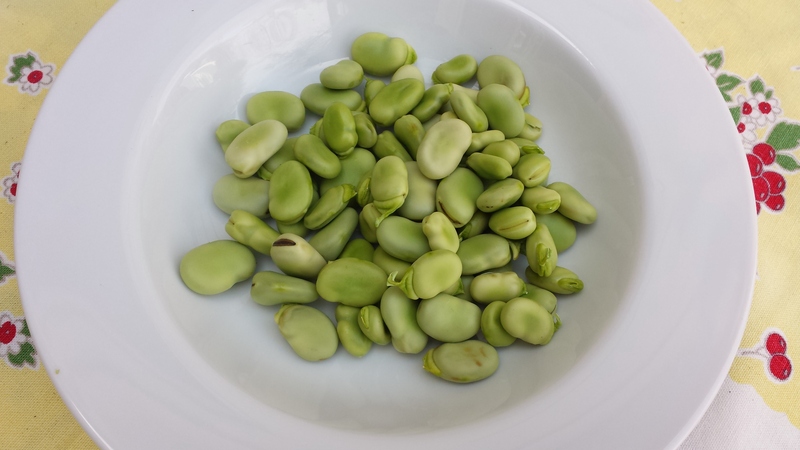 If using fresh favas, remove the beans from the pods, then scald the beans for 2 minutes in a pot of boiling water. Drain then immediately immerse in a bowl of ice water. Drain again. Wash and dry the greens and chives. Strip the leaves from the mint and tear into several pieces. Mix the mint and greens together. 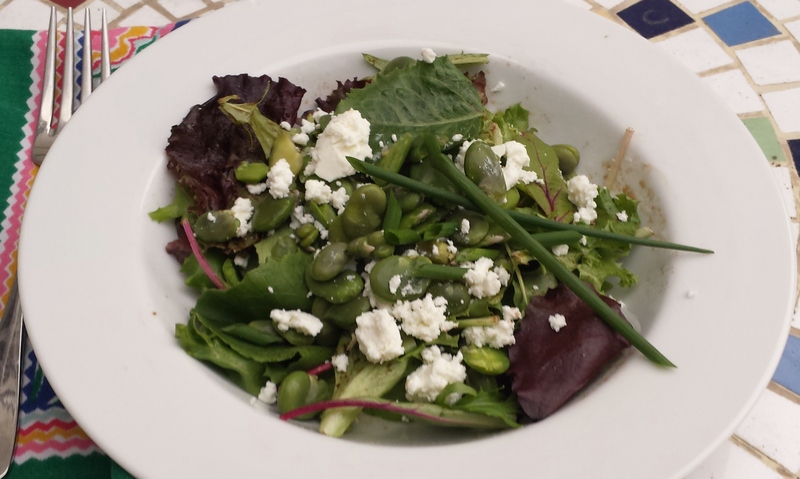 Divide the greens between two bowls and top them with beans and crumbled goat cheese. Sprinkle chives and drizzle vinaigrette over the salads.